As a caregiver, you may find yourself in a rut when it comes to your senior loved one’s diet. You may tend to toss the same items in your shopping cart out of habit or make the same dinners week after week. Want to up your nutritional game? Perhaps it’s time to go nuts! Peanuts, almonds, cashews, hazelnuts, walnuts, and more can pack a nutritional punch and be incorporated into a senior’s healthy diet plan. Nuts are a satisfying snack, packed with fiber, protein, antioxidants, and essential omega-3 fatty acids. Available year-round, a handful of unsalted nuts is an energy-boosting afternoon pick-me-up loaded with vitamins and minerals. Research has shown nuts, such as walnuts, can help lower cholesterol, prevent inflammation, and reduce the risk of heart disease. Nuts can be higher in calories which are perfect for those frail senior loved ones who may need an extra dose of calories in a tasty, healthy form. And when eaten in moderation, they are a nutritional alternative to salty potato chips or sugary candy. Nuts are a great, on-the-go snack with a long shelf life. Keep nuts in your pantry, car, and purse to fight off cravings or hunger pains. Nuts are a great addition to many dishes to add a protein punch. Sprinkle nuts over a bowl of frozen yogurt or ice cream to make it more satisfying. Next time you are creating a sweet confectionary, add nuts to your bread, biscuits, muffins, or cakes. If you are making a stir-fry, complete your dish with a sprinkling of peanuts. Toast nuts to bring out the flavor and add them to your favorite salad. Flour. Almond flour is a gluten-free flour alternative and an excellent choice for those on a low carbohydrate diet. Made from ground almonds, it’s packed with vitamin E and makes a healthy substitute for white flour. 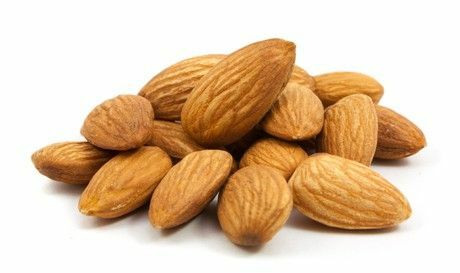 Almonds have shown to be a powerhouse when it comes to heart health and blood sugar management. Butter. Nut butter from almond to cashew to even walnut can be a good way to satisfy a sweet tooth in a relatively healthy way. Try spreading almond butter (watch this video) on half of a banana for a snack, add it to a fruit smoothie for protein, or spruce up a boring sandwich. When choosing a nut butter, look at the label to make sure they are low in salt, low in sugar, and without partially hydrogenated oil. Milk. Almond milk contains minerals like calcium, iron, magnesium, phosphorus, potassium, sodium, and zinc. For bone health, almonds provide 26 percent of your recommended daily amount of calcium. With any change in your loved one’s diet, we suggest that you consult with their physician to make sure this is appropriate for their health and that they do not have any nut allergies or a reaction to nuts.